I would describe myself as a lifetime student of music, but also of learning itself. How one learns, what is learned – or isn’t – and why, are really fascinating topics. These variables change from person to person, one pedagogical style to the next, and of course, end results also differ a great deal. I spent some of my summer at the Aspen Music Festival, performing as principal viola of its Chamber Symphony, and giving several masterclasses, and this was one of the more enlightening teaching experiences I’ve had. Allow me to share a few observations. Music education is at a point where, unlike in previous centuries, specialization is prevalent and most musicians primarily focus on a relatively narrow skill. If you are an aspiring instrumentalist, you rarely learn to conduct, compose or play another instrument with high proficiency. Instead, if you are, say, a violinist, you are likely to spend many years aiming to produce a quality sound, with good variety of expression, stable intonation and rhythm, various bow- and left-hand techniques. If all goes well, you graduate from a conservatory with a performance of one of the major concertos for your instrument of choice. This process may take fifteen-plus years on average, just to get there. Anyone who has gone through this can tell you that the majority of the time in the practice room – but also in the classroom, with your teacher one-on-one – you work on solving the problems in the pieces. How to play chords better, make a bigger sound, play double stops with ease, make good reeds, and so forth – definable, objective factors, and certainly very difficult to do well. A lot of the time in school is really about the musician becoming proficient at the craft, and a devilishly complex craft it is. My viola teacher Atar Arad, a professor at Indiana University, always said the following about auditions: “Play like an artist and you will win any job”. It’s an inspiring statement from a terrific musician I deeply admire, I quote it often, but in practice, I am not sure it always applies. And that is a real shame. In fact, I believe the way we conduct auditions is one of the reasons why going to symphonic concerts can be a lackluster experience nowadays. 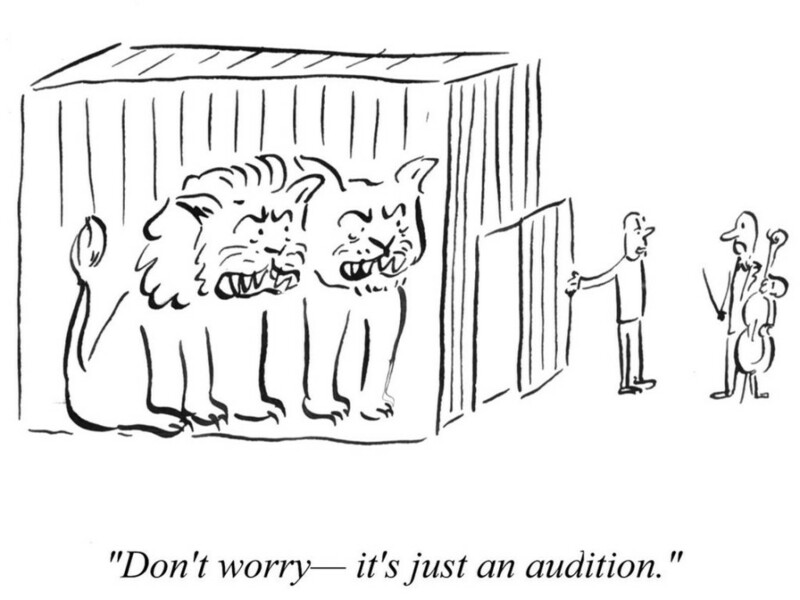 You often hear that it’s not always the best musician who wins the audition. I have been on the winning side and the losing side, and I know many winners and losers well. I agree with that statement. I know a Principal player in a major U.S. orchestra who did not know who Duke Ellington was, yet was about to play a piece of his. I know a fine violinist who, having played the opera “Hansel and Gretel” many times, still didn’t realize it was sung in English (and I can assure you, the singers’ diction was excellent). There are musicians in top orchestras who, while very solid players, aren’t the kind of artists you’d want to hear play a solo recital. There is mediocre musicianship and the kind of cluelessness I have mentioned at the very top, among some of those same players who were able to slay huge lists of excerpts into submission with ease. How is that possible, and should we do something about it? Enormous progress has been made to ensure more objectivity and a level playing field in awarding orchestral jobs. I salute those improvements and am proud we’ve come to a point where getting a job isn’t about who you know, unlike many things in the music world. You can be an outsider, not know anyone you are auditioning for, and you can definitely win if everything aligns right. That said, winning a job in an orchestra is not primarily about how good and flexible a musician you are, with a review of your ability to process the demands of orchestral playing added on. It is exactly the opposite. These priorities serve music poorly. The orchestral excerpt world has morphed into something perverse. Playing excerpts is being treated as a separate skill, distinct from other musical endeavors. We’ve come to a point where very long and highly standardized lists of what ought to be learned are worked on tirelessly, but not to spread art and beauty. Instead, enormous stamina, relentless fine tuning and consistency are valued above all else. Artistry is secondary to craft, endurance and solidity. I heard of the passing of – let’s call her Ms. Jelenović – one of my early violin teachers several months after it happened. The news reached me last fall, while I was in my hometown of Belgrade, Serbia. My host, an old friend and a professional pianist, played chamber music with my teacher’s daughter, a violinist herself, and it was mentioned in a conversation that Ms. Jelenović had died. I immediately felt great sadness and had to quickly excuse myself to another room, where I quietly shed a few tears. My own reaction surprised me, as I hadn’t talked to “Leyla”, as everyone informally called her, in decades and she was no longer someone I thought about much. But her influence and effect on me were considerable, to say the least. I first met Leyla at age eight, once my overambitious father decided that my then violin teacher, a laid back fellow who rewarded me with ice cream money whenever I successfully sightread a new piece, was no longer adequate. My father inquired about the best local violin teachers for children and a few names came up, Leyla’s among them. A meeting was arranged and off we were to an introductory lesson. I don’t remember much about it, except that it was a hot summer day, and after I played a few short pieces, Leyla informed my father that I was accepted to her studio and could start taking lessons with her in the fall. Why “Music for the People”? Opinions on where classical music is and where it’s going abound and I’ve been mulling these questions myself. We’ve all heard how we’re in trouble and are no longer relevant; how the lack of music education in schools has hurt our ability to connect to new audiences, and how a sea of gray heads in the audience at most concerts spells doom for our future. Many wish for our potential audience to understand us and what we play better, hoping that that would solve most problems. There are all kinds of strong opinions; most of them are alarmist and not many are hopeful. “You’re only as good as you once were”. I went to a solo recital of a very distinguished pianist, now a septuagenarian, at Carnegie Hall a while back. Having exited the hall, I couldn’t help but feel slightly underwhelmed. Actually, I felt quite underwhelmed. The concert was a disappointment, I was sure. It might have been a case of the musician being caught on an off day, which is certainly permissible, in spite of (or because of, depending on who you ask) the huge amounts of money involved. However, I was pretty sure the pianist had not prepared well. He flubbed passages in almost all the pieces; there were lazy, repeated mannerisms in interpretation, and his playing generally sounded lukewarm and monotone in dynamics and expressive intensity. Some moments were special, but most weren’t. Still, a pretty rowdy applause followed each piece he played and the vibe seemed as though we are witnessing something exceptional, to be savored and remembered. I doubted myself at first – was the recital really that bad? But he is so famous! Maybe I am in a contrarian mood. Ultimately, I trusted my feeling about it. Casual chats with a few friends who attended quickly found common points of agreement about the playing, but their assessments were more positive. “Oh, but he’s a great hero of mine”, they would say. The review in the New York Times came several days later and was mostly laudatory. I have seen this scenario play out a number of times. This happened with a Grammy Award-winning piano trio, which showed up woefully unprepared to play a concerto at a summer festival at which I played, and then proceeded to blame everyone but themselves; there is a certain tenor who is now a baritone and a conductor that arouses similar feelings of being past his prime, even among reviewers; and so on. No matter, casual observations of the audience’s reactions betray giddiness and delight at having had a chance to be there. 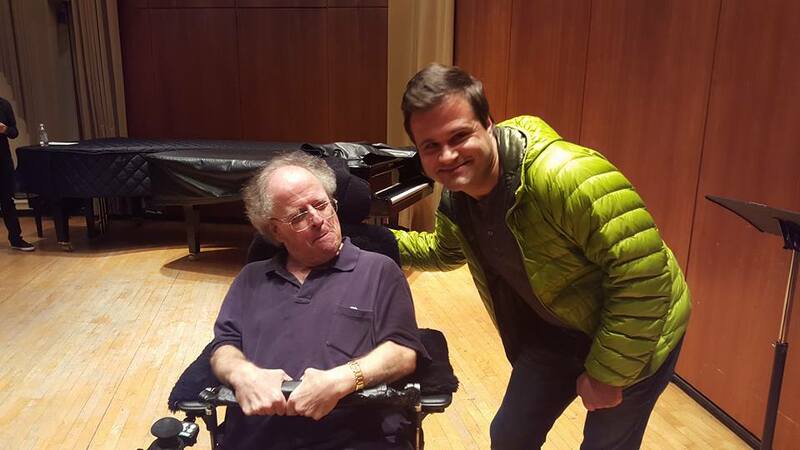 It is my eleventh year at the Metropolitan Opera as I write this, and the announcement of James Levine’s retirement – or, switching into a Music Director Emeritus role, whatever you want to call it – was announced several days ago. I wish I had been able to see Jimmy at his best, but alas, he was absent for two of the seasons I spent there, and for a number of other seasons, he was partially absent and not at his strongest. The health reasons for this have been widely discussed, so I won’t go into that here. What I will tell you is that we had a 45-minute meeting with Levine, in which he addressed the orchestra and chorus, only a bit before the announcement was officially made. There we were, people who work with him very closely, but we heard the news about an hour before the rest of the world. And why would it be otherwise? Working in an opera house is not unlike working at a factory. The bosses make decisions and you assemble the product, like a skilled craftsman but not much else – why tell us any more than is necessary? With the great Maestro after his retirement announcement. Levine was visibly ill, with poor control of his body, and it was so painful to see him in that state, especially without a baton in his hand. He spoke to us and put a mercilessly positive spin on everything related to him, especially his health, and was unspecific about everything else, although one could read between the lines. It is incredible that he has attempted to conduct in this physical condition, but he has, and will continue to do so. One has to admire his tenacity. I sat close to him for years, and in recent months, the pain he was in while conducting was uncomfortable to watch, not to mention that it affected his ability to lead us.